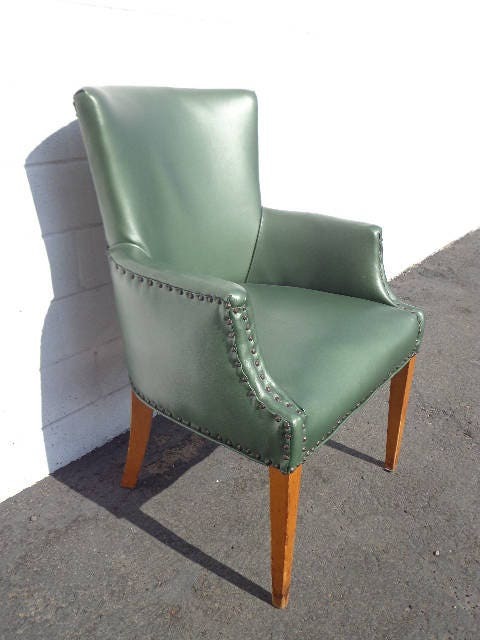 Super cool vintage lounge chair with a classic wing back frame. 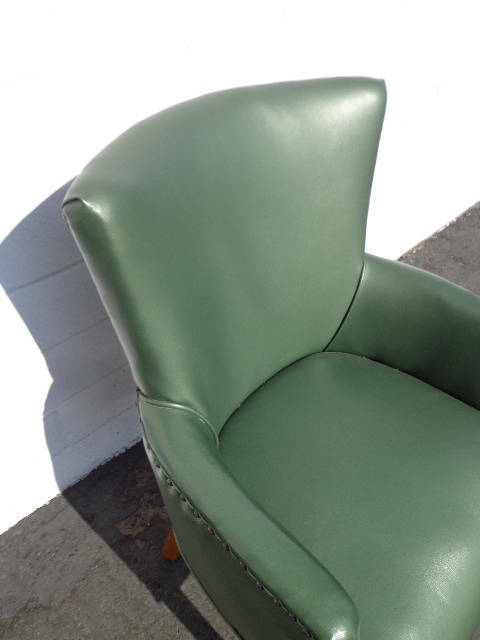 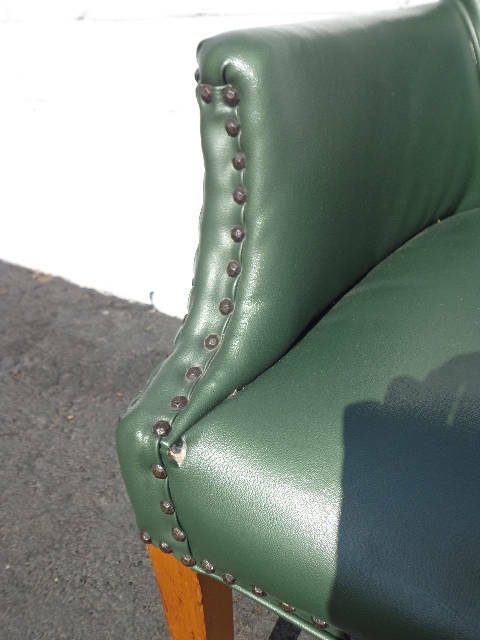 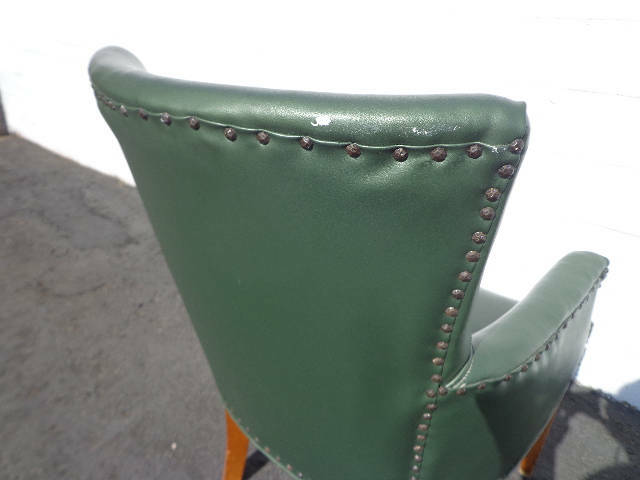 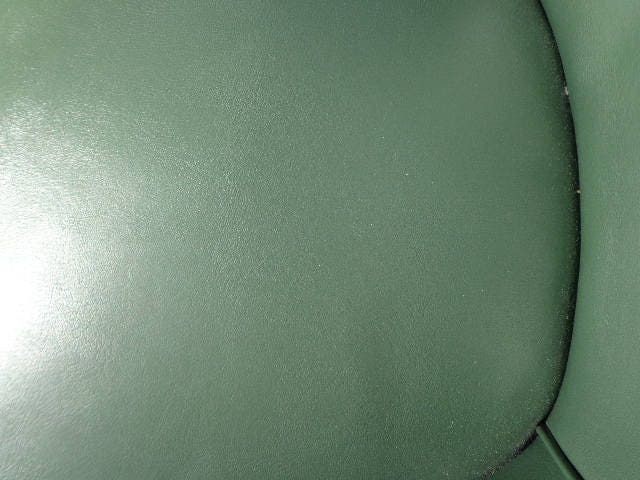 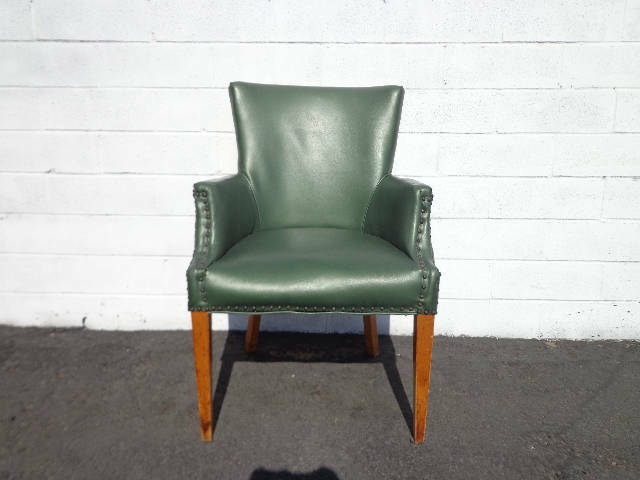 Covered in a gorgeous green leatherette and finished with nail head trim. 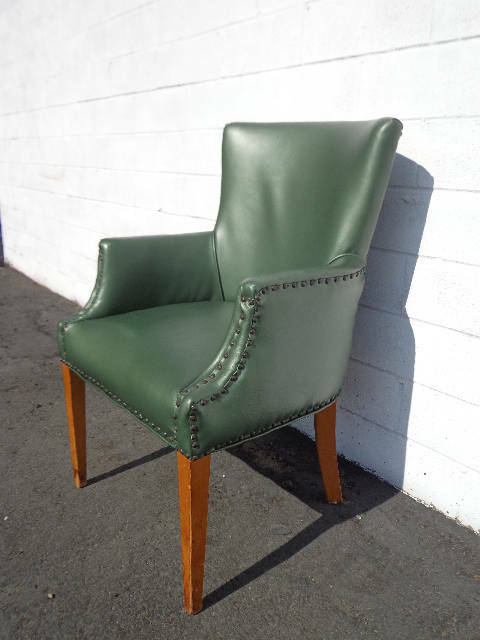 This piece is fabulous and is very well made. 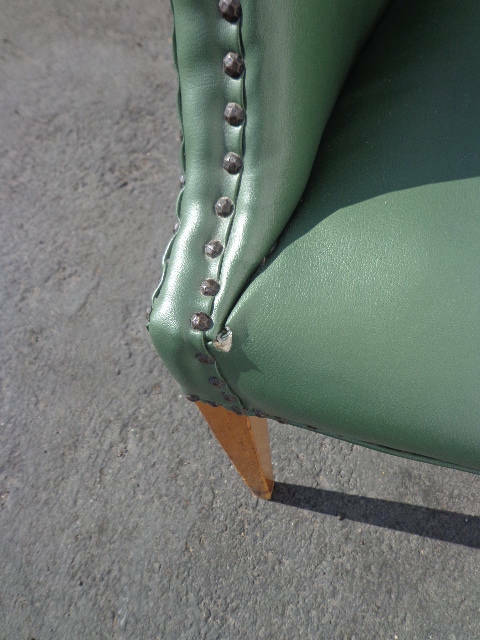 It is structurally strong and sturdy. 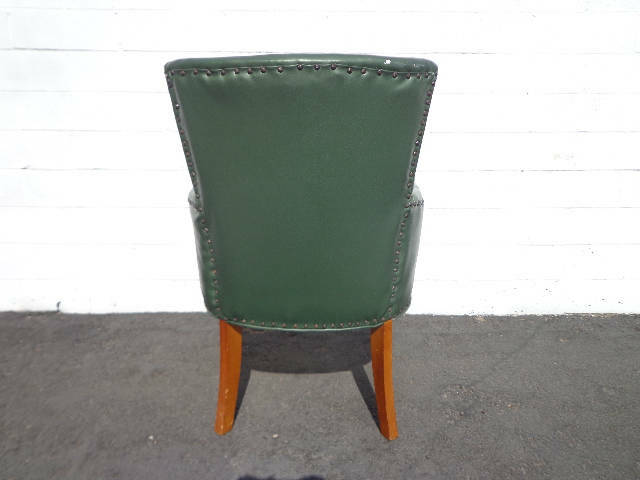 Overall good vintage condition, shows wear from use that just adds to the perfect patina, and extremely sturdy. 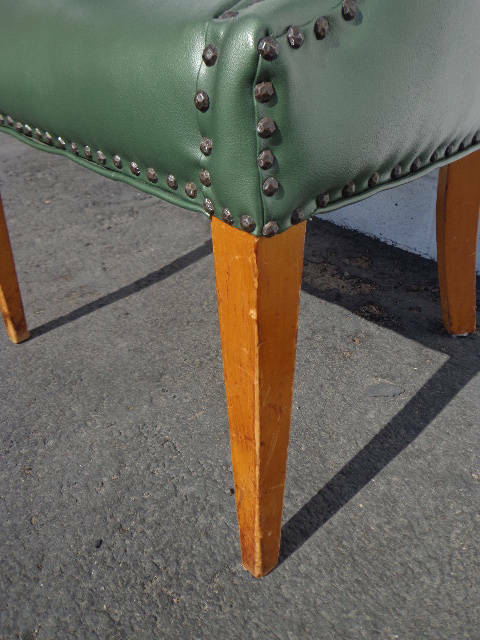 Very unique vintage piece with modern/contemporary appeal.